So how does it work? 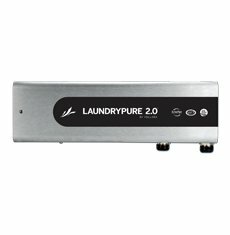 Laundry Pure 2.0 incorporates the power of our revolutionary, exclusive ActivePure Technology with the cleaning action of activated oxygen to lift dirt and grime away from the fibers of fabric and prevent the growth of odor–causing bacteria. It easily installs on either front load or top load residential washers. Laundry Pure 2.0 is an amazingly effective cold water laundry system for residential use. Laundry Pure has space certified, RCI technology, that will save you money, by eliminating the need for laundry detergent, bleach, and fabric softeners in your wash. It also saves electricity by eliminating the use of hot water in the laundry. Good news for people with sensitive skin! With this new technology, you will NOT have any detergent residue building up on your clothes. I had this problem a few months ago. I had a favorite pair of slacks, and every time I wore them I got a rash on my waist under the waistband. I finally threw them away. If only I had this technology then, I could have saved my favorite pair of pants! Have you ever forgotten to take your laundry out of the washing machine, then gone back a day or so later only find that it has a stinky sour smell? That happens because the residual detergent left in the clothes sours and bacteria begin to grow. Independent laboratory tests done by NSF(National Safety Foundation) on Laundry Pure showed a 99.999% success rate in getting rid of bacteria from laundry. Click arrow below to watch a demonstration of Laundry Pure at work.